515 E. New Hope Rd. 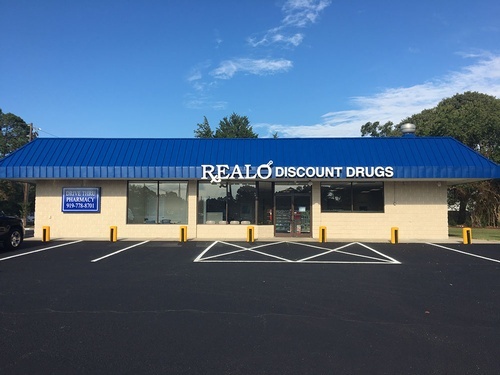 Realo Discount Drugs has been locally owned and operated since 1982 when the first store was opened in Kinston, NC. Since that time Realo Discount Drugs has grown to numerous stores in towns throughout eastern North Carolina. Our patients are provided with the best service possible, along with offering quality products at a fair market price. Patients are treated with respect and every effort is made to provide assistance and answer questions concerning medications in a professional manner. Communication is the foundation for the quality care and services we provide to all of our patients.